This effervescent and fruity fragrance is reminiscent of bright lights, starry nights, sweet treats and tasty feasts! It combines notes of coconut, passionfruit & lime to produce a fragrance that is deliciously sweet and incredibly zesty - the ultimate summer escape. Peppermint Grove soy candles are handmade in Australia. 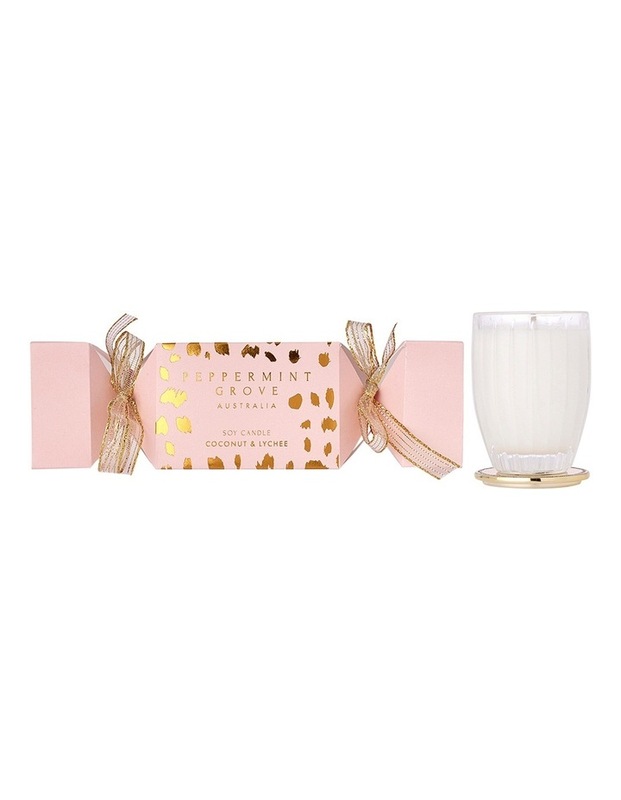 They are poured in a highly polished custom-designed glass with this candle featuring a limited edition polished gold lid that also acts as a protective barrier for surfaces. Top notes are melon, lime, grapefruit, lychee and orange; middle notes are coconut, gardenia and passionfruit; base notes are musk and sweet vanilla.